Rembco is a geotechnical contractor that specializes in foundation support, soil stabilization and specialty grouting by performing various services including: micropiles, minipiles, soil nailing, ground anchors (soil anchors and rock anchors), pressure grouting, compaction grouting, compaction piles, chemical grouting, sinkhole repair and more. 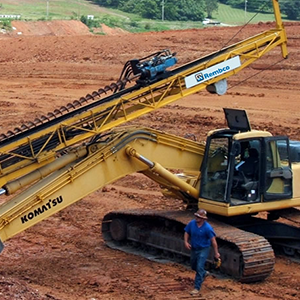 Our clients have depended on us for quality geotechnical services for over 30 years. We provide a variety of geotechnical services including ground improvement, rock slide stabilization, excavation shoring, sinkhole remediation, encapsulation grout of hazardous materials, and controlling of underground liquid migration. We are committed to (1) the safety and well-being of our employees and our clients, (2) achieving technical excellence in the design and installation of our projects, and (3) providing our clients with service that exceeds their expectations. Design/Build Solutions for Your Geotechnical Services Project. 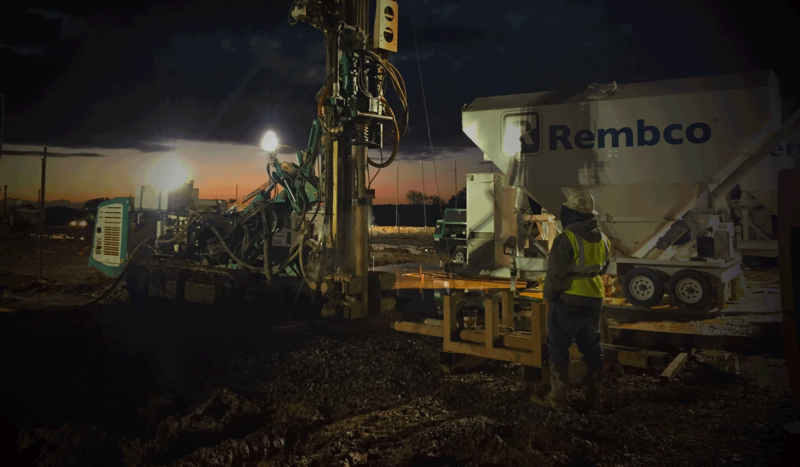 When you are working with Rembco Geotechnical Contractors, you are working with experienced professionals who are seriously committed to helping you solve your problems. Our engineers, project managers, superintendents and field crews are uniquely qualified to respond to your toughest challenges. We work with every client to understand the project objectives, constraints and underlying problems, and we specialize in meeting your technical objectives with the most cost-effective means available. Rembco is large enough to tackle big commercial projects, and small enough that you’re only a phone call away from our Owner/President. If you already have an engineered design and project specifications, that is, if you know what you need and simply need it installed correctly, Rembco performs geotechnical installations that conform exactly to the plans. Top construction companies have relied on Rembco Geotechnical Contractors to build specific portions of their projects for over twenty-five years. Why? Because we provide construction services that are compliant and accurate, without deviations. When you know that you are facing a tough geotechnical problem and you don’t yet have a solution, that’s when Rembco is at its best. Because your projects involve unique problems, you deserve unique and creative solutions. Rembco’s team of experienced professionals will listen and then analyze your situation. Our engineering team will get started immediately on designing your custom solution and deliver technical excellence, often at a substantial cost saving. For new construction, we provide foundation support systems such as micropiles and compaction grouting, that you will build on with confidence. For existing structures, our remediation and repair techniques deliver permanent solutions. In both cases, you can rely on Rembco to deliver technical excellence…safely… and often at considerable savings. Rembco Geotechnical Contractors, Inc. shared a post. Rembco has mobilized and demobilized multiple times for various phases of construction helping Skanska USA getting this building out of the ground! Once completed this high rise will be a prominent feature of the Nashville skyline!